FiberWorx own FX front bumper canards manufactured in high quality fibreglass with a black gel coat finish. 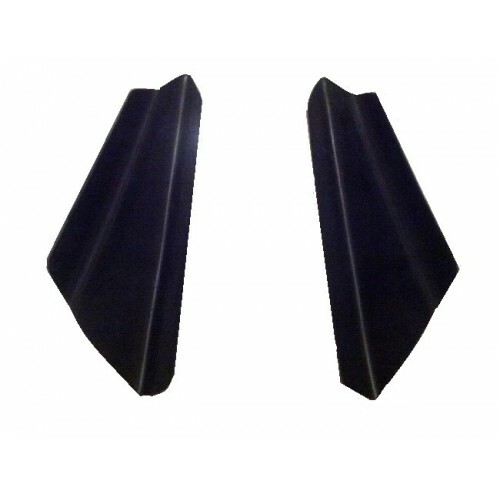 Set of 2 small canards supplied. Designed to increase frontal down-force during high speed cornering giving a better rate of turn-in and increased stability. Fits All Honda Civic EG, EK, EP, 5th Gen Prelude, 6th Gen Accord, Integra DC2, CRX Mk2. May also fit other models but we are unable to guarantee this before purchase.